We can duplicate any old hair system you may have. Any size, any base, any hair. Just fill in our order from with any special instructions and send us your old unit and you’ll have a brand new system 4-5 weeks later. Sample unit keep on file? All need you to do is simply send us your current or spare system. 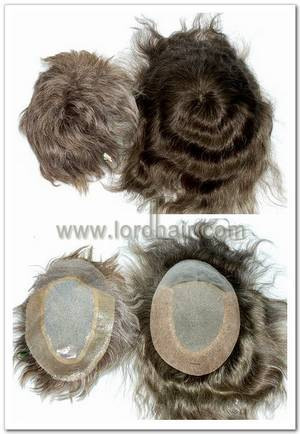 We replicate the hair length, color, style, base design, size material etc. 5-6 weeks later, you will be receive a brand new system with all the details exactly the same your current system. We welcome you to make any changes you like to the unit such as base material, color, density, hair length and just about anything else you can think of. We are happy to make any arrangements to return your old system as soon as you need it. 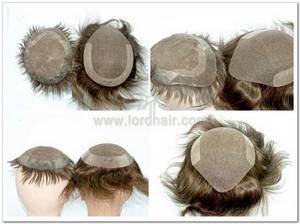 Although it is preferable to keep it during the replication process, we realize many of our clients may not want to be without their hairpiece for an extended period of time. If necessary, once we receive your current system, we will record all the information needed and keep all of your unique details on file. We then ship your unit back to you. For future orders, it is still convenient for you as you simply need to click the ”Reorder” button, your new order will be proceeded at once. After you fill and submit the order form , customer service will send you and email advising you of the order details that you selected so can verify or make corrections. After you make the payment , our accounts department will issue an invoice and send it to you via email. The last thing need you do is: print out the order form and put it into the envelope together with your old unit and/ or hair samples, then mail the envelope to us. What's next? 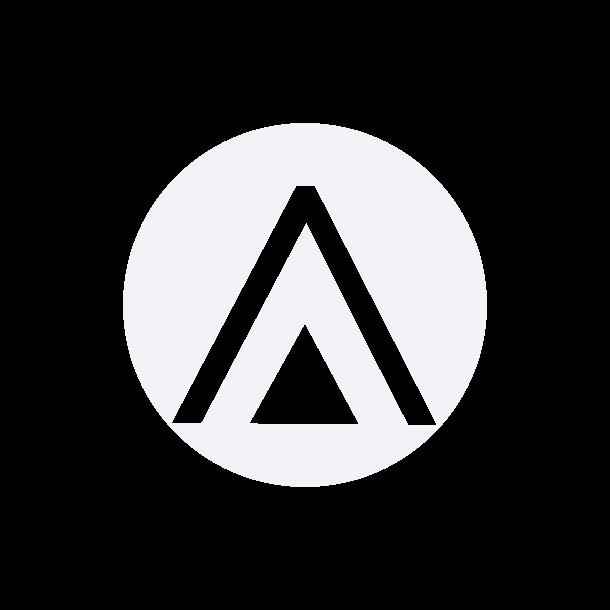 5 - 6 weeks later , apostman will deliver a customized brand new hair system to your front of your door. If you have any questions during the ordering process , please don't hesitate send us email via info@lordhair.com , one of our tead members will quickly be in touch. This is a duplication order, as you can see, the customer required little change in base design. Hair length was required a little bit longer than the old unit as he will have it style and cut in by his stylist. The hair color is a little bit darker than the color of his old piece, it is because he felt the old piece color faded after long wear time. This is an 100% duplication, same base design, same base material, same density, same curl and wave, same hair direction. Hair color must be darker than the old unit, otherwise, when wear the new unit for some time, the color will be lighter and lighter. This order was also a 100% duplication, hair length was left 6" waiting for customer's stylist to cut and style. The base design and material of the new unit is exactly the same as old piece. After wearing, it looks exactly as the old one, but it is a brand new piece. 1. The hair color of the new unit usually needs to be darker than the color of the old unit. If the color of the old unit cannot be used as color reference, you might need to send in a standard hair color for color matching. 2. Check if the base curvature of the old unit still suit you well. After a long time of wearing , some bases might become flatter and the base may no longer fit you perfectly. You need to check this in order to have the perfect base curvature. In case this happens to your old unit, you might need to make a new template and send it in as a reference. 3. We usually make a hair length of 3 - 4" at shortest even if your old unit is only 2" long. You can have your own stylist cut and style the new unit to the length you like. 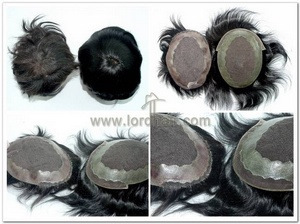 Lordhair also offers a pre-cutting service, we can cut it to length and style before the new hair system leaves the factory. 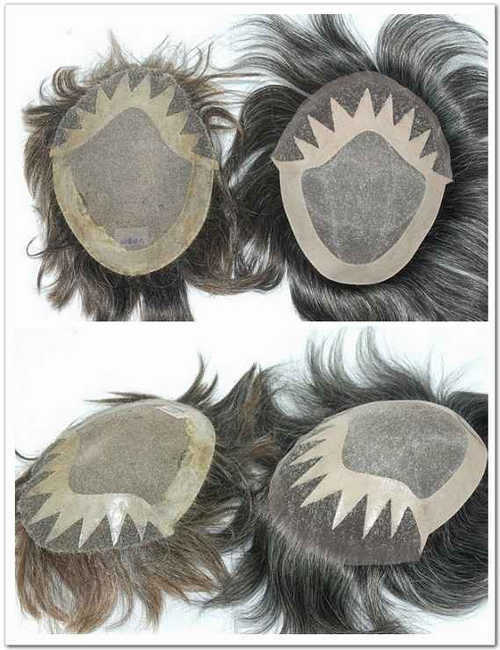 This customer ordered a duplication, but changed the hair to darker color, and add 20% synthetic grey hair all over. The base construction and the base material remain the same as old unit, density, hair direction etc were all the same as the old piece. 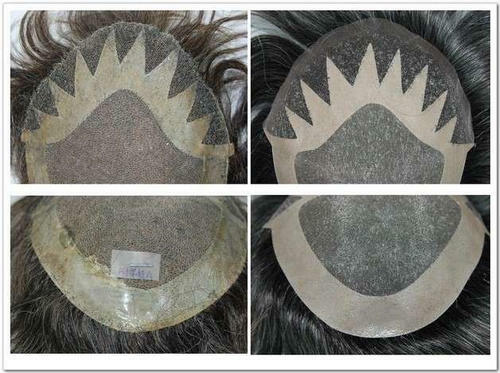 We left the extra lace front edge uncut, when the customer receives the order, he will have his stylist trim the lace edge off, so there will be no extra lace on the front hairline when wearing. Size: perfect, though i have to cut by myself the border of the unit around the hair. Colour: exactly the same colour as the old unit sent for replication. This is ok, but as it was an old unit and hair tends to become lighter with time i was expecting this to be taken into consideration and expecting to receive a new unit a bit darker. The only real negative point is the density: it is low, so i am not sure how long the unit will last. I think i will order my next unit unit with Lorhair again.